This is the phone you want if you can't afford the iPhone X. It's got the larger battery, same powerful innards and strong camera. If you don't mind the poorer screen, it's a good option. - Screen isn't in same league as OLED. Offering most of the same functionality of the considerably more expensive iPhone X, the Apple iPhone 8 Plus is a fantastic option for those who want to stay within the iOS ecosystem and save some money at the same time. Starting at the RRP of $1,229 for the 64GB model, you can also score a larger 256GB version at the RRP of $1,479. The iPhone 8 Plus is available in Silver, Gold and Space Grey as standard, though a stylish Product Red edition is also on sale for those who want to stand out. Released on September 22, 2017, the iPhone 8 Plus features a similar design to the previous generation of iPhone products, with a slim, rounded body, only this time with glass on both the front and back of the handset. The move from aluminium to glass on the back of the phone allows the iPhone 8 Plus to charge wirelessly using Qi technology. While it’s true that an all-glass design does make phones more fragile, Apple has opted for sturdy Gorilla Glass on the iPhone 8 Plus, meaning it should be able to take some (light) knocks without shattering. Though it lacks the iPhone X’s impressive Face ID unlocking technology, the Touch ID fingerprint scanner will still let you unlock your phone and pay for items in an instant. Like the iPhone 7 Plus before it, the iPhone 8 Plus also carries IP67 water and dust resistance (allowing it to be submerged 1 metre for up to 30 minutes), so you won’t have to worry too much about spilling your drink on it or dropping it in the toilet (though you probably should worry about the latter). Though the Apple has stuck with an IPS LCD display for the iPhone 8 Plus, you’ll be happy to know that the iPad Pro’s eye-popping True Tone technology has carried over to the phone, giving you vivid, lifelike colours that respond in real time to the lighting in your environment. Don’t think for a second that the iPhone 8 Plus is underpowered, either — Apple’s A11 Bionic chipset (the very same one found in the iPhone X) powers the device, allowing it to multi-task and run complex games and applications without any slowdown (seriously, this thing is a performance beast). And, like the iPhone X, the iPhone 8 Plus also boasts a dual-lens camera, allowing you to take stunning portrait photos (with a number of post-processing options that let you create some truly dramatic effects), use optical zoom (a dedicated telephoto lens allows for optical zoom and 10x digital zoom) and optical image stabilization (for improved low-light photography and steadier shots). Granted, the iPhone 8 Plus looks pretty similar to the iPhone 7 Plus in terms of design, but in terms of power and functionality, it outclasses its predecessor in every way. A much more affordable way of acquiring the brains and camera prowess of the iPhone X, the iPhone 8 Plus is an exceptional phone in every sense of the word. 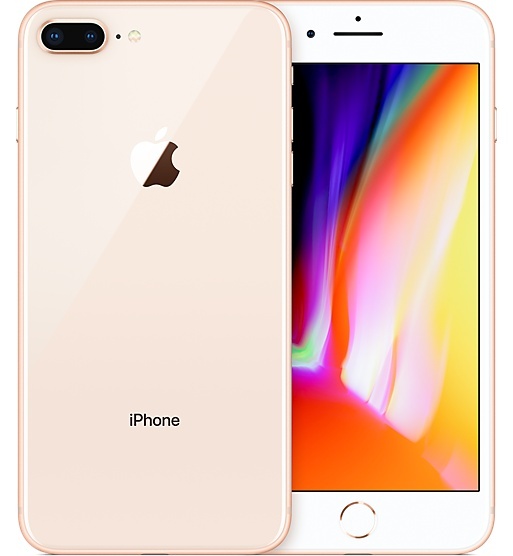 The Apple iPhone 8 Plus Mobile Phone was added to the Mobile Cell Phones category in June 2018. The lowest price GetPrice has found for the Apple iPhone 8 Plus Mobile Phone in Australia is $1,019.00 from Becextech. Other merchants who stock it are Becextech, Etoren, think of us, ozappliances.com.au.